Fourth in Hilderbrand’s Christmas series about a family-run Nantucket inn. Changes are looming at Winter Street Inn, seemingly portending the end of this Christmas series. Innkeeper Kelley, patriarch of the Quinn family, is in hospice, dying of brain cancer. Kelley’s oldest son, Patrick, is struggling to grow a hedge fund after serving time for insider trading. Due to their straitened finances, wife Jennifer, an interior decorator and former addict, hesitates to tell Patrick she lost a sizable account due to a banker client’s sexual harassment. Characters from Hilderbrand’s recent summer novel, The Rumor (2015), make an appearance: disgraced realtor Eddie Pancik, now out of jail, his wife, Grace, and her erstwhile lover, master landscaper Benton Coe, now returned from temporary exile in Detroit. Kelley’s ex-wife, iconic anchorwoman Margaret, is regretting, with near-retirement hindsight, that she allowed his second wife, Mitzi, to raise their three children, Patrick, Kevin, and Ava. A new relationship is working out well for Ava until a visit from her boyfriend Potter’s son, PJ—who's over-the-top bratty even by today’s standards—threatens to upend everything. Kelley worries about what will happen to Mitzi after he's gone; she has no family except their only child, Bart, a former Marine who suffers from PTSD after two years of imprisonment in Afghanistan. Mitzi is already planning to list the inn for sale with Eddie, and judging how well Nantucket real estate has bounced back from the crash, this promises to replenish the depleted coffers of both. 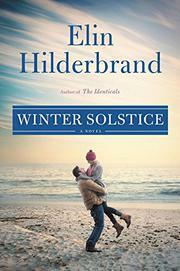 Hilderbrand has quickly put her witty and at times profound stamp on the Christmas genre. In this latest outing, however, the most interesting crises evaporate too soon: Bart’s trauma is quickly eased by love at first sight, Jennifer spins addiction dross into reality TV gold, a little FaceTime tames PJ, etc. Perhaps these neatly tied-up plotlines are appropriate at series' end—except that the ambiguous close suggests the end may not be so near after all. Not for those who prefer tarter holiday fare.